When someone is killed in a negligence-related accident that was not their fault, surviving family members may have grounds for a wrongful death lawsuit. This type of civil lawsuit allows claimants to seek compensation for economic and non-economic losses related to their loved one's untimely passing. However simply losing a loved one to negligence related to an accident doesn't guarantee surviving family members a wrongful death settlement or financial compensation. If you lost a loved one in an accident caused by another person or entity's poor choices, here is what you need to know—and what you will be expected to prove. Duty of care. Plaintiffs must show that the defendant owed the victim a duty of care. For example, in a truck accident case, truck drivers have a duty to obey the rules of the road and pilot their vehicle safely. Breach of duty of care. Once a duty of care has been established, plaintiffs must show that the defendant breached that duty. For example, a commercial trucker who drives under the influence of drugs or alcohol, or who fails to obey traffic rules or federal trucking regulations has breached their duty of care to others on the road. Causation. Next, the plaintiff must show that the defendant's breach of duty of care directly caused the wrongful death of their loved one. Damages. Finally, plaintiffs must show that they sustained economic or non-economic losses as a result of the victim's death. Delaware restricts the ability to file a wrongful death claim to the victim's surviving spouse, parents, children, or siblings (including unmarried parents, children born out of wedlock, and half-siblings). Which of these folks has a claim depends on who else is in this group. In cases where the victim has no surviving spouse, parents, children, or siblings, another person related by blood or marriage may be able to file a wrongful death lawsuit. Additionally, wrongful death claimants must file their lawsuit within two years of their loved one's death, according to Delaware’s statute of limitations law. Waiting until after the two-year time limit has expired almost always results in the case being thrown out of court without being heard. The skilled attorneys with the Morris James Personal Injury Group understand how difficult it can be to lose a loved one because of another person or entity's negligent choices. While we cannot turn back the clock and prevent your loved one's tragic death, we can help you investigate your rights to compensation and fight for the justice your family deserves. 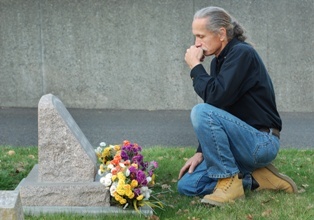 Do you have questions about a Delaware wrongful death case? Contact us today to schedule an appointment for a free initial consultation with a member of our legal team.